What a great way to spend the day. 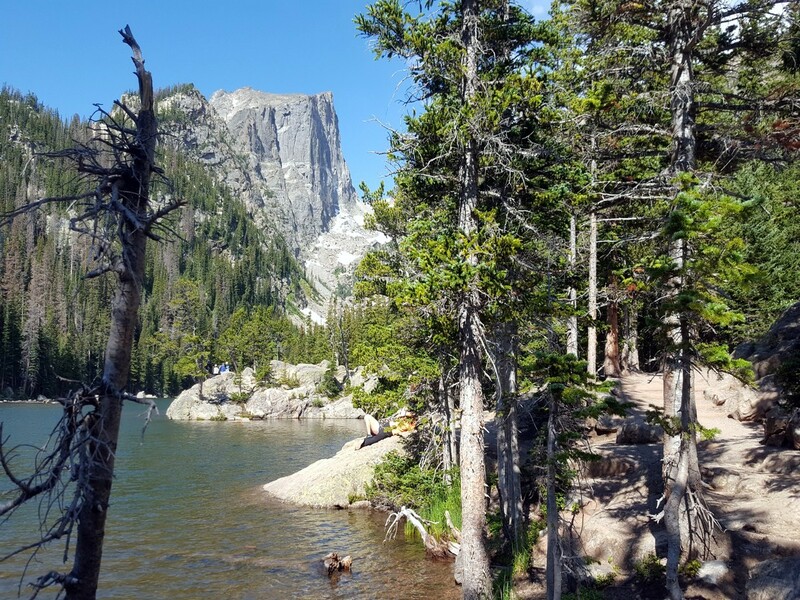 Hike to Nymph, Dream, and Emerald Lakes and enjoy a special day in Rocky Mountain National Park. 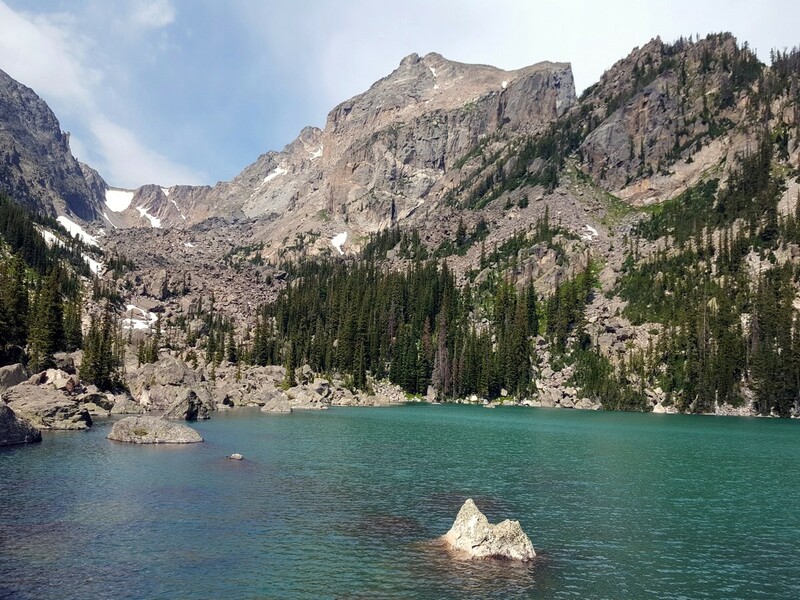 This hike takes you to five different lakes, all with unique views and special qualities that give each of them their own sense of beauty. 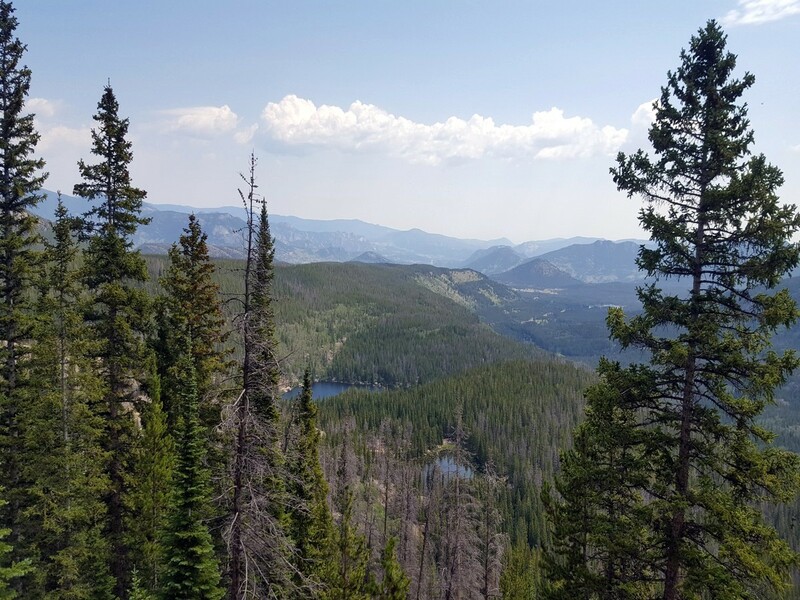 From Estes Park, take highway 36 west and enter RMNP at the Beaver Meadows Entrance Station. Just after the pay station, turn left on Bear Lake Road. Follow the road for about 16.1km until it ends at the Bear Lake Trailhead. This is a heavily used area.  Save yourself some time and just park at the shuttle lot (8.0km before the trail head) and take the bus to the trailhead. 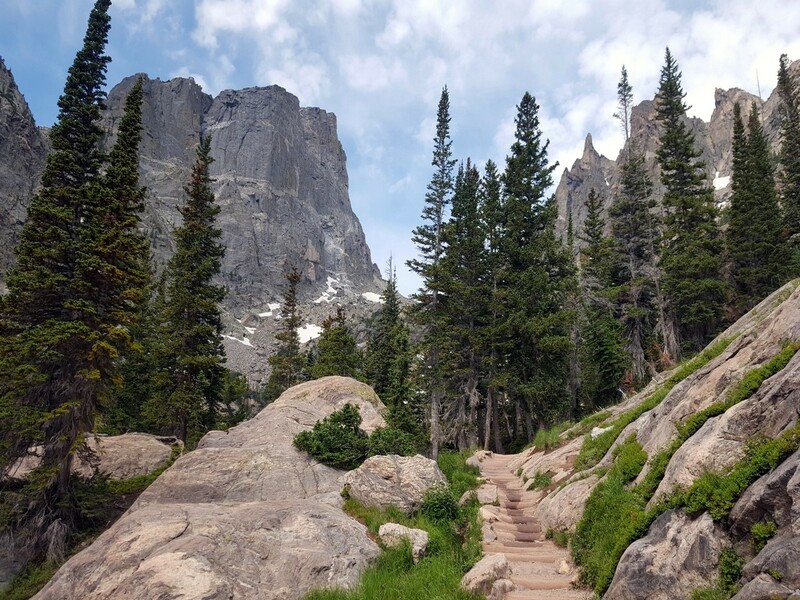 This hike is a local favorite and a highly recommended hike for anybody visiting Rocky Mountain National Park. 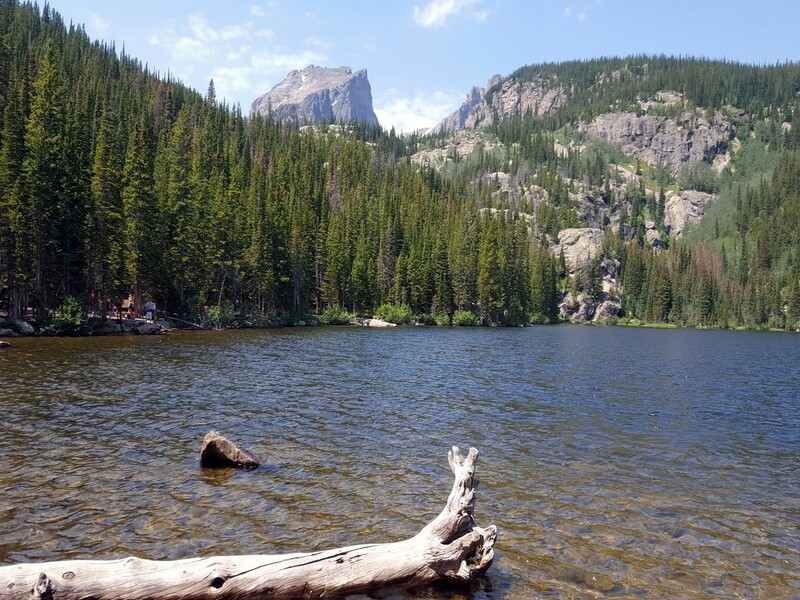 There are incredible views from all sections of the hike and you get to experience five of the many lakes in RMNP. Each of these five lakes have unique properties that make them each just as beautiful as the next. From the trailhead, hang a left, following the signs to Nymph Lake. The trail splits right away and you’ll stay right. Every intersection is well marked and labeled. The first 0.4km is semi-paved and sees heavy crowds. The first lake you’ll reach on this hike is Nymph Lake, which is only about a 0.8km. Nymph Lake, the smallest of the lakes on this hike, is usually filled with lilies in the water. 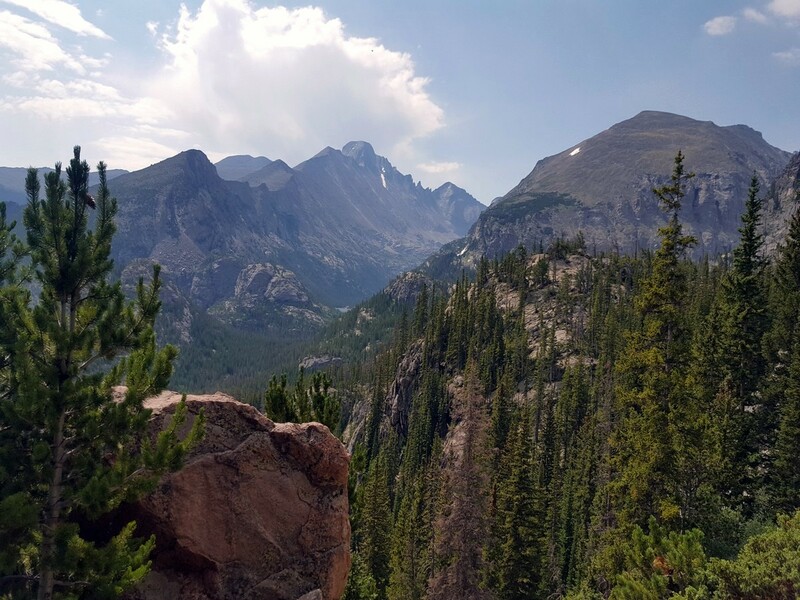 You’ll see the top of Hallett Peak just beyond the hills. The trail hugs to the right of the lake before climbing up in elevation again. After hiking for about a 1.6km, the trail will split. Make note of this junction, because this is where you’ll turn to see Lake Haiyaha when you come back. Right now, take the right trail, following signs for Dream and Emerald Lakes. Dream Lake is right around the corner after you cross a narrow footbridge. 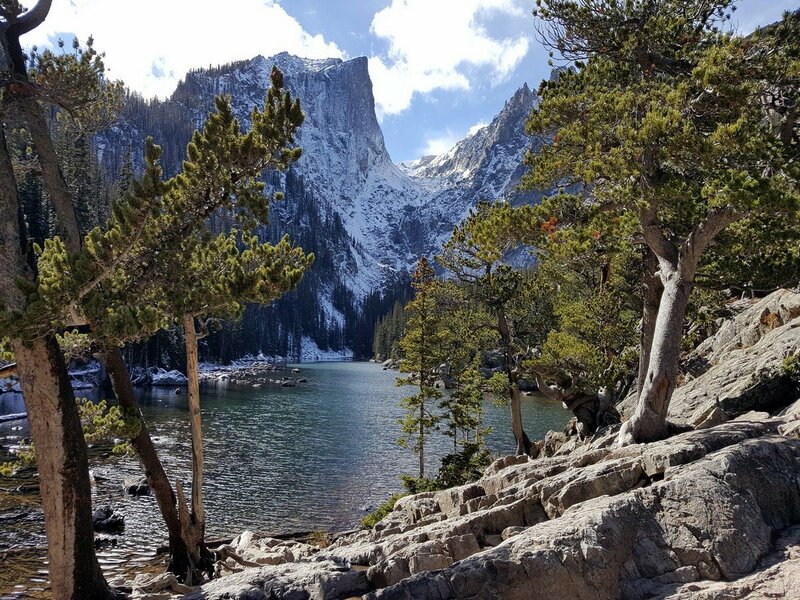 You’ll hike right alongside Dream Lake, a long and skinny lake, on the way to Emerald Lake. 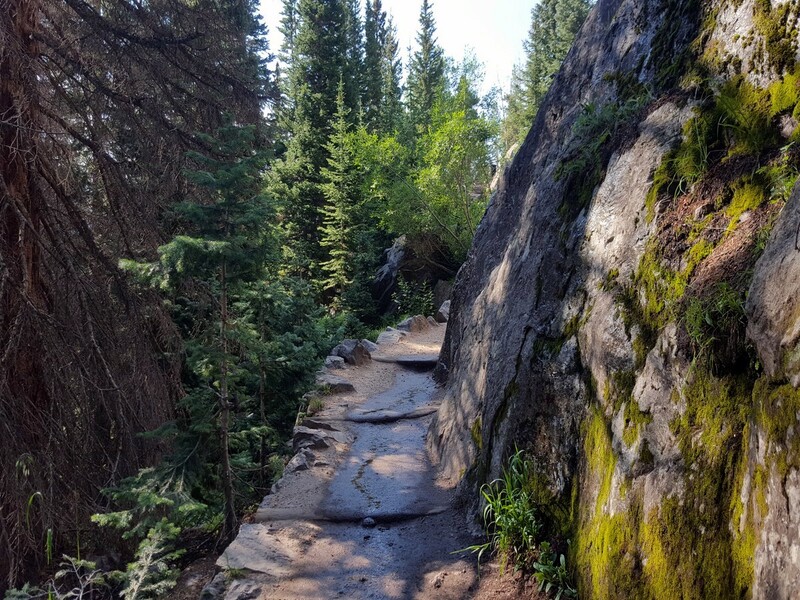 Around 2.3km, the trail gets a little steeper and you’ll wind around the rocks. Take a look to the left for a short waterfall and a large rock to rest on. You’ll reach Emerald Lake in a few hundred yards. Hallett Peak looms over the lake and is sometimes seen reflected in the waters. 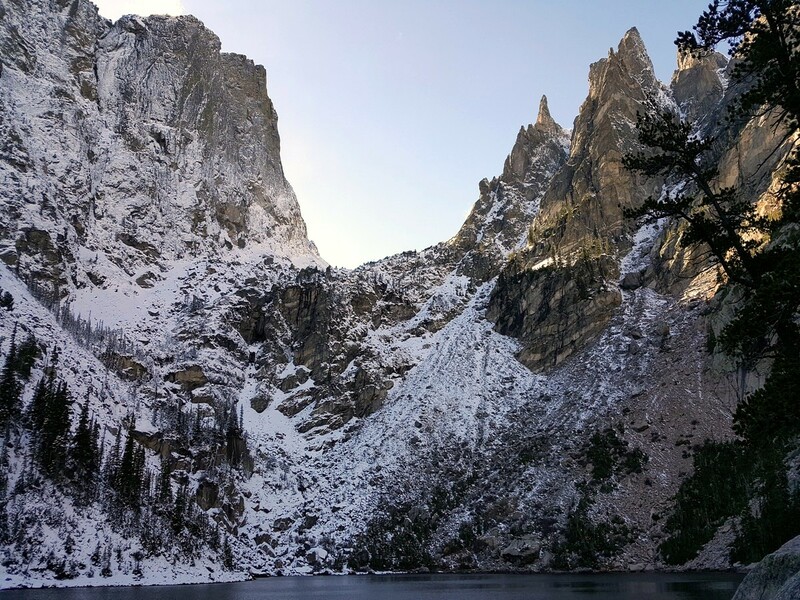 Retrace your steps back to the intersection before Dream Lake. Now make a right turn, up the hill to head over to Lake Haiyaha. This part of the hike is less crowded and little bit steeper. Don’t stop hiking, the views are incredible. You’ll follow the trail for 1.9km, crossing over a bridge and staying straight on the main trail at the intersection. 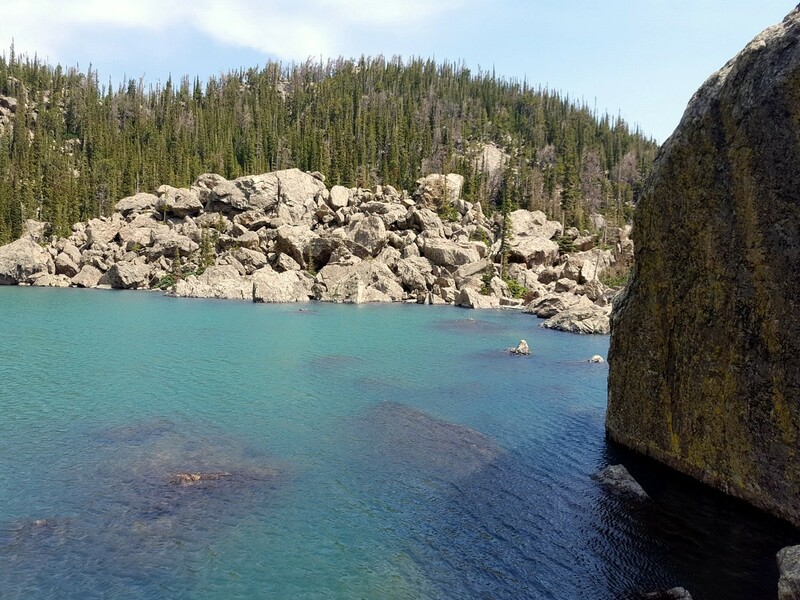 When you reach the lake, you’ll have to scramble over large rocks for just a little bit to get the best views of the emerald blue water. You’re now on the other side of Hallett peak, seen to the right of the lake. To get back to the trailhead, retrace your steps from Lake Haiyaha to the main intersection and make a right, back to Nymph Lake and following the trail you came in on. 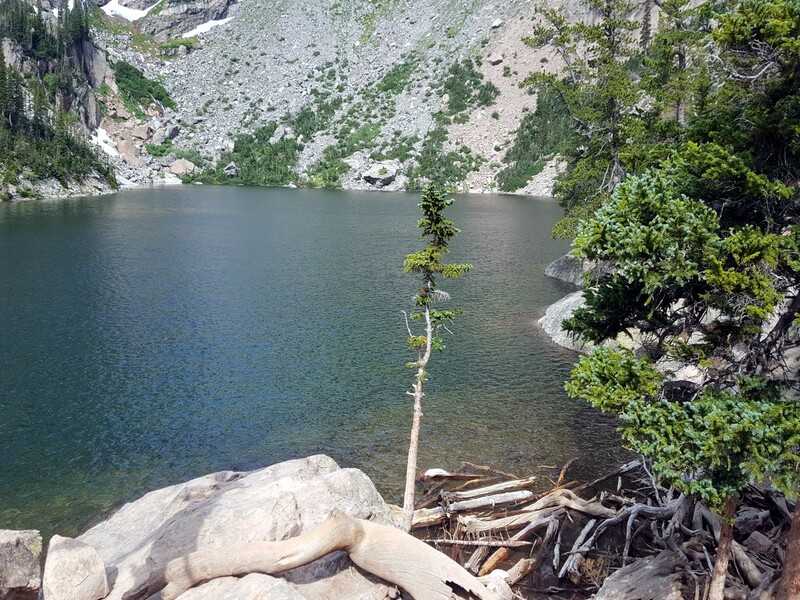 To add one more lake on your hike, take a left when you exit at the trailhead, turning away from the parking lot towards Bear Lake. 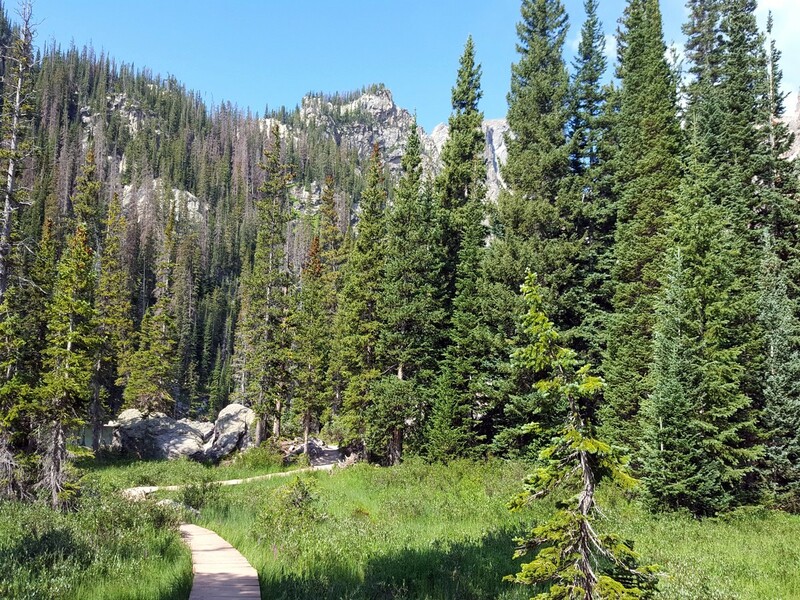 Choose a direction and follow the wide, flat trail around the perimeter of Bear Lake. Pick up a $2 nature guide at the Bear Lake trailhead for an informative guide to point out the numbered bear paws around the lake. Parking can be crazy as this trail is so popular. It is HIGHLY recommended to take the shuttle. 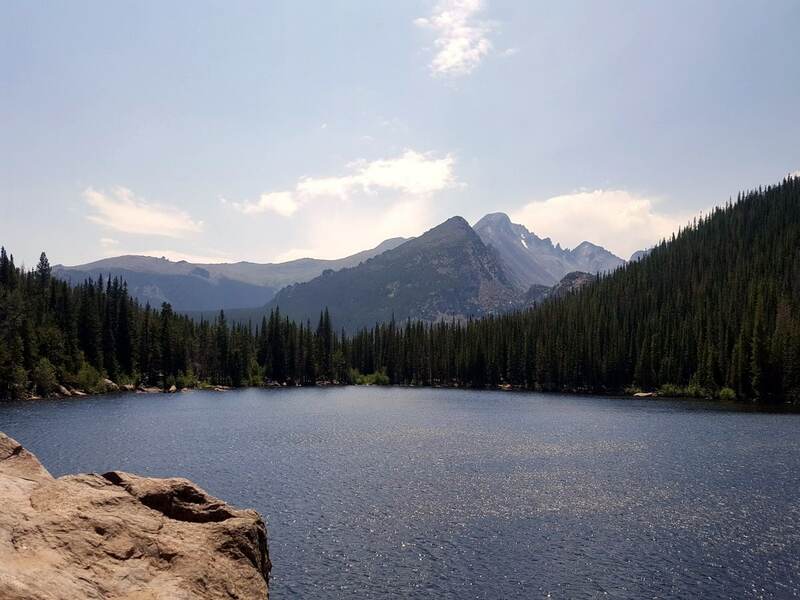 If you have a stroller or young kids, consider only doing the Bear Lake hike. 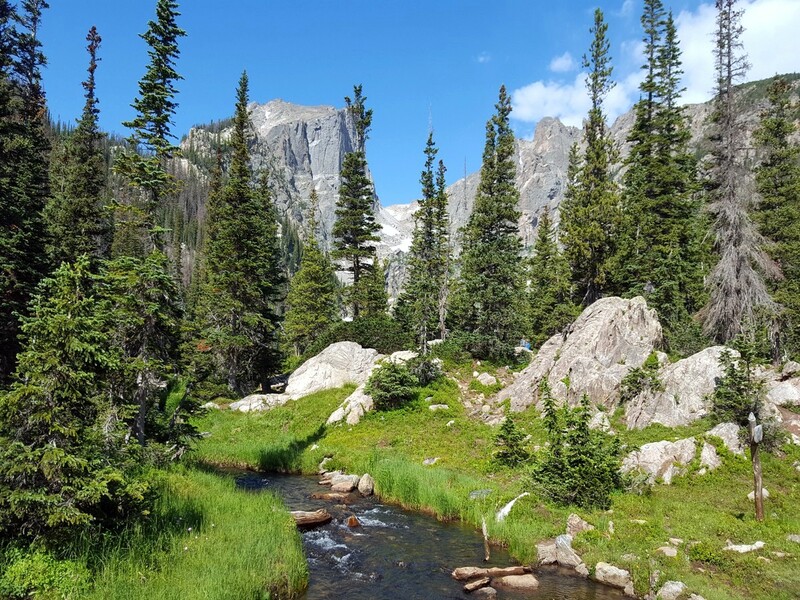 This is still a fun day outdoors in the beauty of Colorado’s RMNP.